To call our latest Health Hero a fighter is an understatement. Balaal Hollings has been called miraculous, an inspiration and so much more and it is all the truth. In 2013, Balaal was a football player, a wonderful student and getting ready to go to college on a scholarship. These dreams were shattered when he was shot in the head at a high school party. Doctors did not know if he was going to survive and if he did survive, the extent of permanent injuries. As his classmates continued on with their education and continued learning, Balaal had to re-learn how to walk, talk and think again. He battled against the odds and not only survived, his injuries made him an activist and someone who is trying to change the world into being a more peaceful place. Balaal is now attending college, studying criminal justice and he regularly speaks on his experience and how to change your outlook into a positive one. 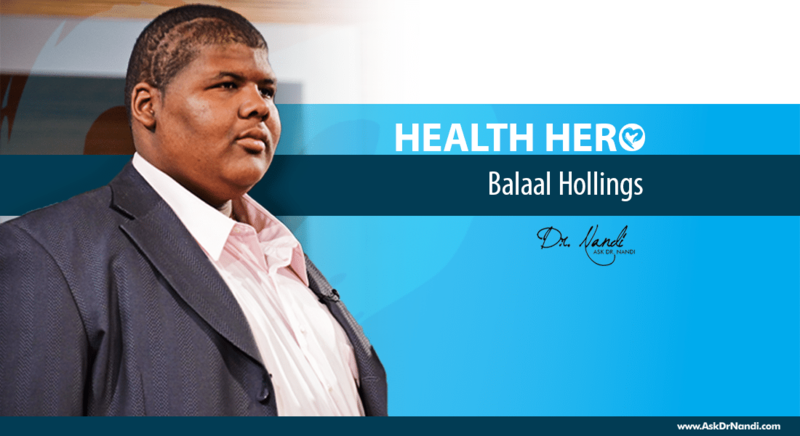 Our friend Balaal Hollings is our latest Health Hero and we are humbled to know him. If you’d like to hear the full story, watch our episode “Violence as a Disease” below.